Meyer Lemon Clouds [Recipe] + Pineapple Cakes – Cin Cin, Let's Eat! One of my favorite baking supply site is King Arthur Flour. I mostly visit for their flour and baking mixes – 15% off when buy 5 or more mixes. They also sell other things like cookbooks, appliances, and gadets for the kitchen. Once a year, I will stock up my pantry with some KAF’s awesome mixes of bread, cakes, scones, and pancakes. They are almost always easy to make and the quality and taste are always excellent. Very convenient to have on hand especially when you are in need of a dessert for a last-minute dinner party. I used the “Pineapple Magic Cake Mix” recently for a fondue party (along side with some Meyer Lemon Cloud, see below.). Different from the traditional dense Pineapple Upside Down Cake, these mini cakes are light and fluffy, similar texture as an angel food cake. The syrup was a tad sweet, but nevertheless, a good choice and a light dessert to end a heavy meal. They are best served warm, and taste even more amazing with a scoop of vanilla ice cream. Here is another dessert I came across and was perfect to finish a heavy meal like cheese fondue. Having a fruitful Meyer Lemon tree in the backyard means that I am always on the lookout for new ways to use this unique citrus fruit. This week’s posting at Steamy Kitchen gave a great recipe which I will now keep in my collection. 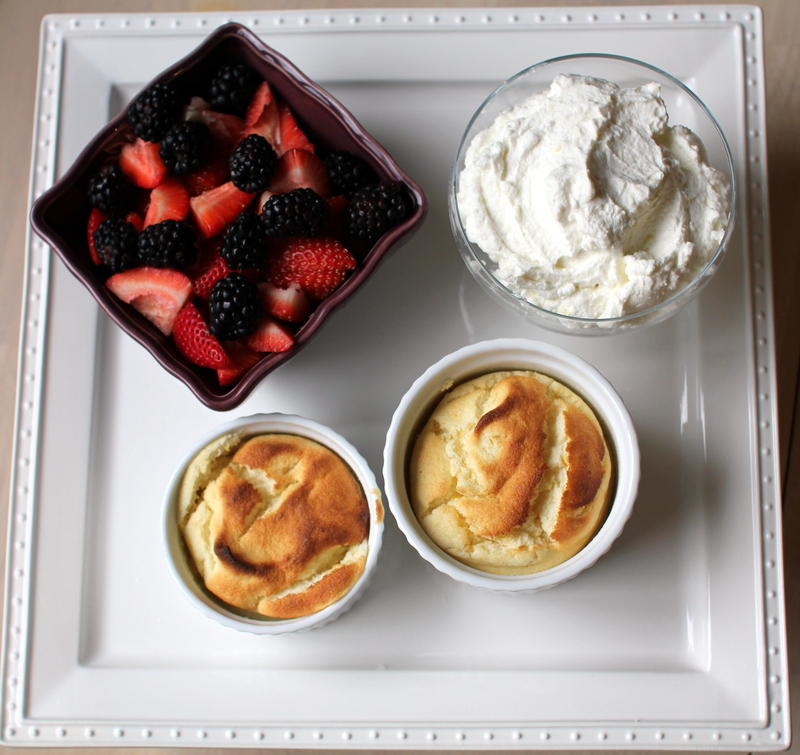 Meyer Lemon Clouds with Lemon Whipped Cream is the perfect dessert to welcome Spring! Similar texture as a souffle. They truly are “clouds”. 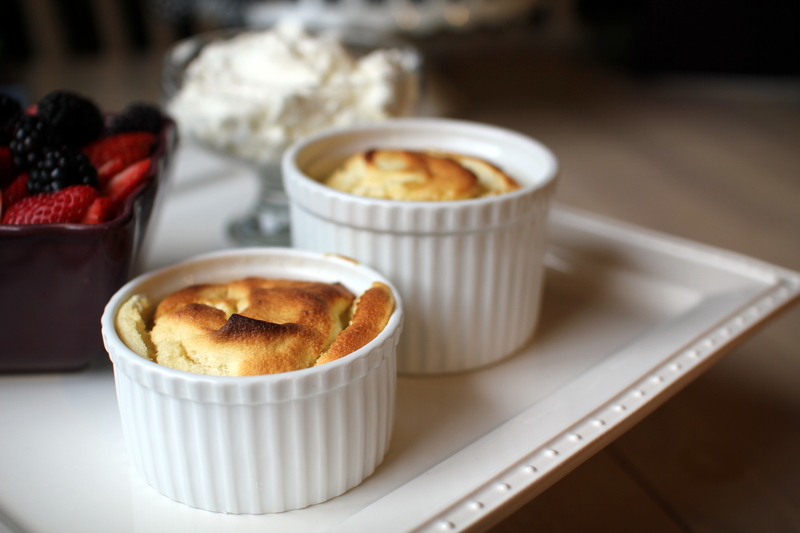 Perfect with a dollop of lemon whipped cream and sweet berries. just finished the leftover pineapple cake last night… still so soft and moist after a couple of days. let me know when your next KAF shopping spree is, i want in!